Two black men were arrested waiting at a Starbucks. Now the company and police are on the defensive. This March 14, 2017, file photo show the Starbucks logo on a shop in downtown Pittsburgh. The confrontation was captured on a video viewed more than 8 million times on social media, fueling the backlash, which drew responses from Philadelphia’s mayor, the city’s police commissioner and now the chief executive of the biggest coffee house chain in the world. Johnson vowed an investigation and a review of its customer relations protocols, and he said he wanted to meet the two men for a face-to-face apology. The two men were taken to a police station, where they were fingerprinted and photographed, their attorney Lauren Wimmer told The Washington Post on Saturday. Her clients, who declined to be identified, were released eight hours later because of lack of evidence of a crime, she said, adding that the Starbucks manager was white. The incident is a dramatic turn for a company that has positioned itself as a progressive corporate leader and touts “diversity and inclusion” – efforts that have also drawn its share of criticism. Last year, the company vowed to hire 10,000 refugees, drawing calls for a boycott, mostly from conservatives who said they should focus on native-born Americans and military veterans (though Starbucks started an initiative in 2013 to hire 10,000 veterans and military spouses). Wimmer said the man whom the two men were there to meet, Andrew Yaffe, runs a real estate development firm and said he wanted to meet the men to discuss business investment opportunities. In the video, he arrives to tell police that the two men were waiting for him. Melissa DePino, who recorded the viral video of the incident, told Philadelphia magazine that the men did not escalate the situation. “These guys never raised their voices. They never did anything remotely aggressive,” she said. Cellphone videos, including DePino’s, show the men sitting and calmly speaking with officers. Mayor Jim Kenney, a Democrat, highlighted the company’s role in the incident in a statement on Saturday. He noted that the omnipresent coffee shops are known for being community hubs of people who do not necessarily buy anything, suggesting that the manager’s actions may have been motivated by race. The company response, he said, was not enough, and he directed the Philadelphia Commission on Human Relations to review Starbucks policies and determine whether the company would benefit from training for implicit bias – unconscious discrimination based on race. Ross, a black man, defended the actions of the officers in a Facebook Live video on Saturday, saying the officers asked the men three times to leave. Ross said that he is aware of implicit bias and that his force provides training, but he did not say whether he believed it applied in this case. He added that police recruits are sent to the National Museum of African American History and Culture and the U.S. Holocaust Memorial Museum in Washington to learn more about the struggle of blacks and minorities throughout history. “We want them to know about the atrocities that were, in fact, committed by policing around the world,” Ross said. The moment has drawn comparisons to civil disobedience protests during the civil rights movement, when black Americans’ refusals to leave segregated lunch counters were met with police force. 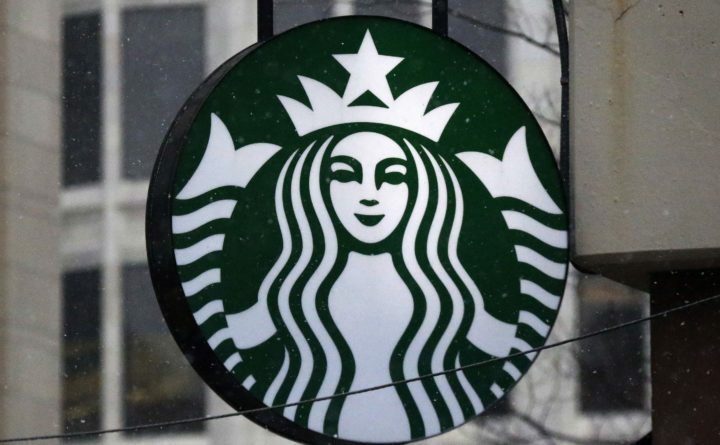 An employee said that Starbucks policy was to refuse use of the bathrooms to nonpaying members of the public and that the men were asked to leave, according to Ross. A Starbucks official speaking on background told The Washington Post that there is no companywide policy on the issue, leaving the procedure to be decided by local managers. The manager wanted police assistance to remove the two men but regretted that the incident escalated into an arrest, the official said. The official acknowledged that the incident is at odds with what many people have routinely done at a Starbucks without drawing suspicion or calls to police. The stores are “community” hubs, the official said, where people often drop in to use the WiFi or chat with friends and do not necessarily order anything.